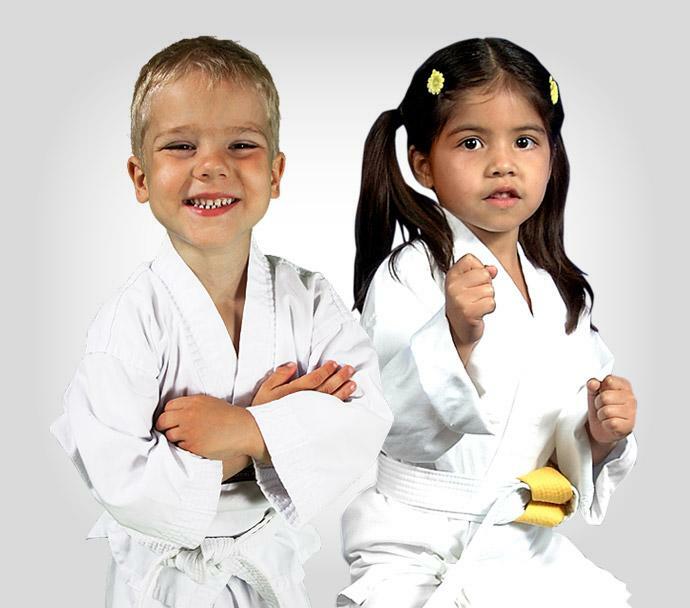 Class description: The Lil' Karate program teaches the students the importance of focus, self-discipline and respect. Another aspect of the Lil' Karate program is the "Stranger Danger" element to the class. We talk to the students about what to do if a stranger approaches them and how they can defend themselves. Each class there will be new punches, kicks and blocks learned. In addition, students will learn how to practice with partners and how to develop confidence to perform their karate moves in front of the class. At the end of every class, the children play a different karate-based game that focuses on teamwork. A short graduation will occur during the final class to showcase everything learned. Week 1- discuss the rules of karate, introduce 1-5 moves to form and learn front punch and front kick. Week 2- review 5 first steps of form, review front punch and front kick, introduce heel palm, and side kick. Week 3- learn steps 6-8 of form, review front punch, heel palm and front kick and side kick, introduce roundhouse kick and karate chop. Week 4- stranger danger - talk about what to do if you see a stranger and practice some techniques on the karate instructor. Week 5- learn steps 8-10 of form, introduce back kick and back fist. Week 6- learn steps 10-15 of form, introduce hammer punch and axe kick. Week 7- review steps 10-15 of form, introduce crescent kick and hammer punch.